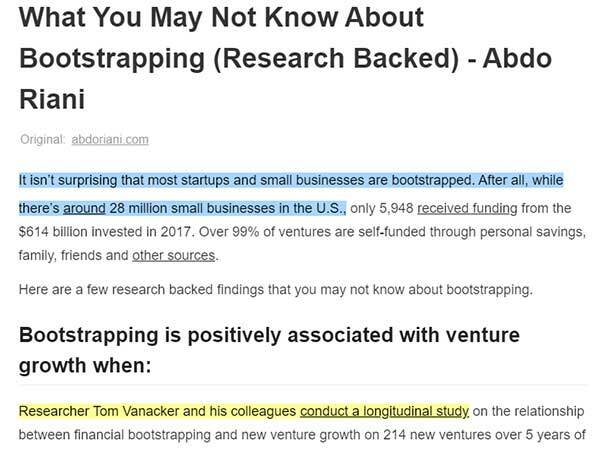 When you are bootstrapped (self-funded), every dollar counts. 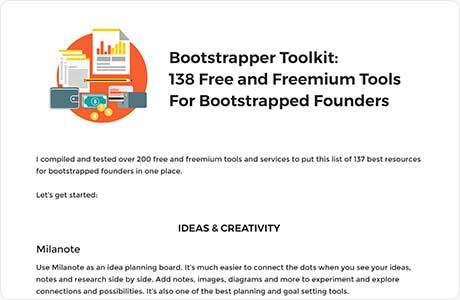 I compiled and tested over 200 free and freemium tools and services to put this list of 138 best resources for bootstrapped founders in one place. You can filter through the list to find the best tool for you, PLUS, some of these companies have agreed to share an offer for a free or discounted upgrade to their premium plan in case you want to try their advanced features. You can also download the PDF to keep a copy for yourself. When you download the PDF, you will get LIFETIME access to EntrePerks’ $23,000+ in combined savings from over 90 of the best products in the market. Use Milanote as an idea planning board. It’s much easier to connect the dots when you see your ideas, notes and research side by side. Add notes, images, diagrams and more to experiment and explore connections and possibilities. It’s also one of the best planning and goal setting tools. Visit and try Milanote here. Curator helps you organize your images, PDFs, presentations and more for brainstorming, to refine your visual story, get inspired, share ideas, increase efficiency and collaborate from one single board. Visit and try Curator here. This tool lets you map your ideas through a simple interface. 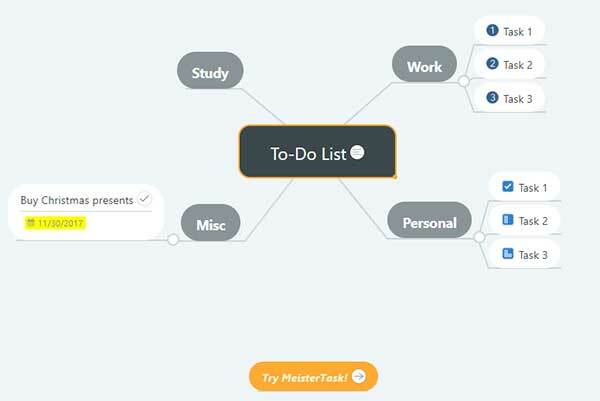 If you want to analyze connections, brainstorm and present ideas, map and improve user experience, then MindMeister is the right tool for you. Whatever comes to mind, Evernote will organize it on the go. Evernote features are created to save you time. It helps you collect your ideas, deadlines, notes and files in one place so you can get more done from idea to finished projects. 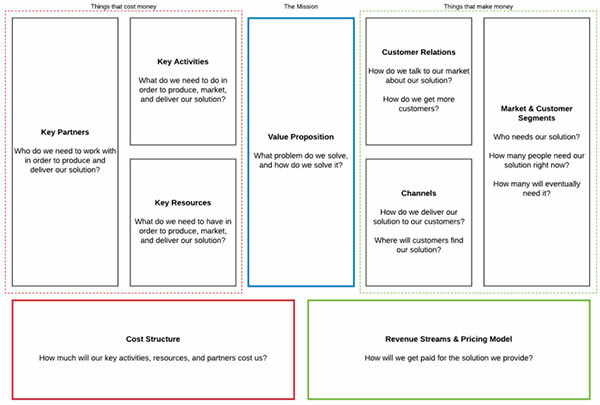 If you are building a startup, the business model canvas compiles the different focus areas in one sheet of paper. Print out a few copies of the canvas, define your hypotheses and then go meet your potential users/buyers to validate or iterate on your ideas. Find a copy of the business model canvas here. 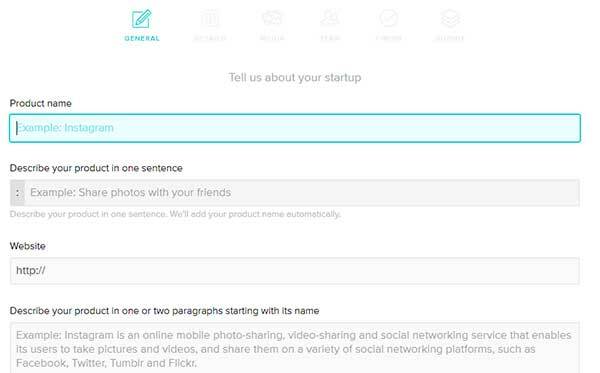 You can collaborate or share ideas from one single file. Save files to the cloud and edit with others at the same time. Found something interesting on the web? Use Diigo to save and tag pages, organize links and provide your personal input and notes as you are reading to create a structured research file that you can share with others or use to brainstorm and generate ideas. Entrepreneurs are characterized by a never-ending pursuit of ideas. If you’re always thinking of new ways to solve problems, you are going to have to clear your mind quickly so you can think more freely. One of the apps I use for this is my iPhone’s Notes app. Whichever phone you use should have a Notes app. Evernote is another great option for this too. 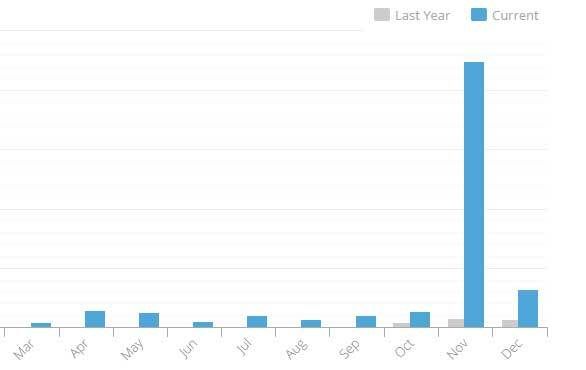 WordPress powers 60% of all blogs in the world and 29.3% of all websites. 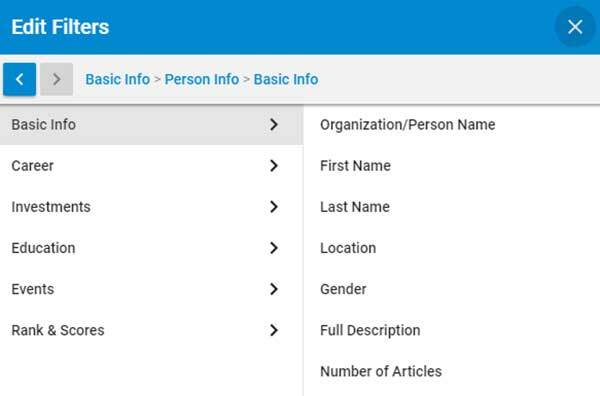 To blog, create an online identity or even an MVP, WordPress is a simple platform for all backgrounds (technical or not). 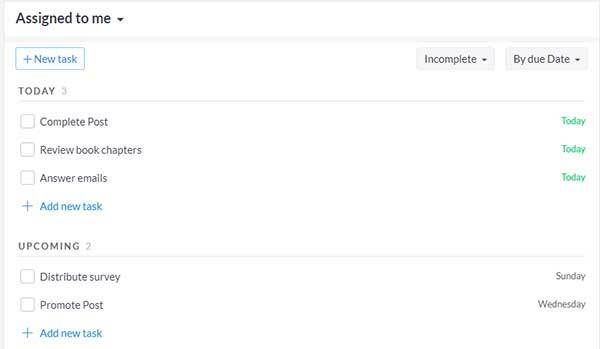 GitLab offers many project management tools to help you turn your ideas into scalable products through collaborative workflows, code repositories, built-in code review and testing, and countless more support tools for your software. 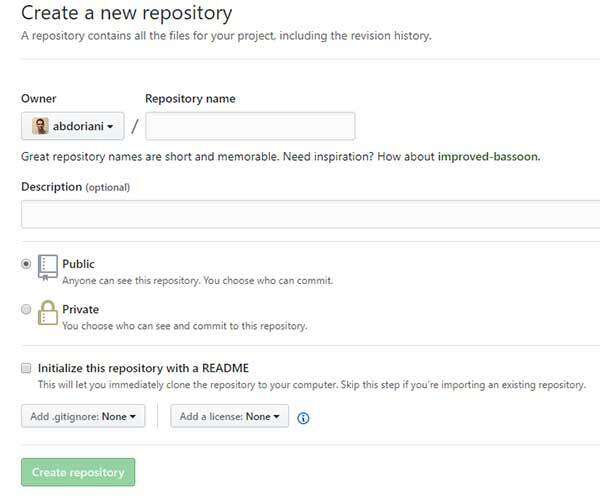 GitHub is not just a code repository. 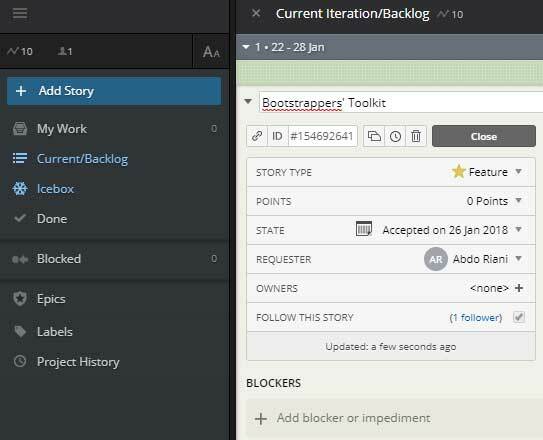 It also provides collaboration features and bug tracking, task management and documentation to help you write and release better code. Another valuable reference for programmers. 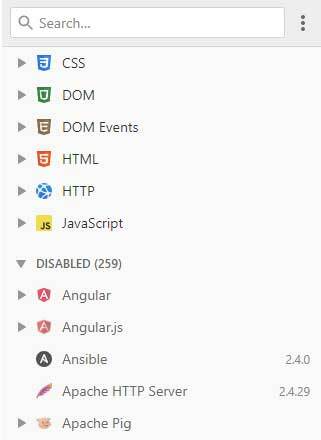 Search hundreds of files to find fast, free and organized documentation about programming languages, software development tools and APIs. 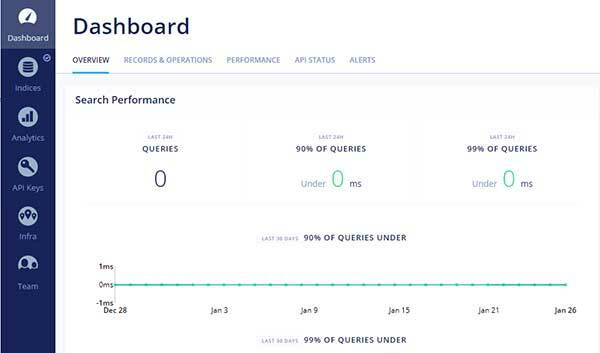 If you want to implement a search engine in your web or mobile app, Algolia has an API for that. You can upload and sync the data that you want to make searchable and let Algolia do the rest. Forest unified all of the administration interfaces into a single platform without needing technical knowledge. You can search and customize columns based on your integrated apps like Stripe or Intercom. Forest makes your company much more efficient. The Forest team offered us one month free trial of their Pro plan. Email the team at [email protected] mentioning this post. 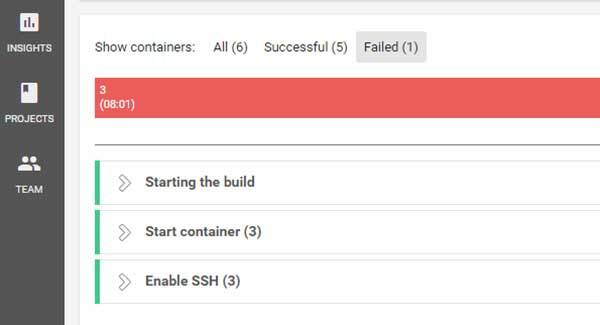 CircleCI helps you automate the software development process using continuous integration, a software development strategy that entails committing, building and automatically testing small increments of code before merge with the shared repository. 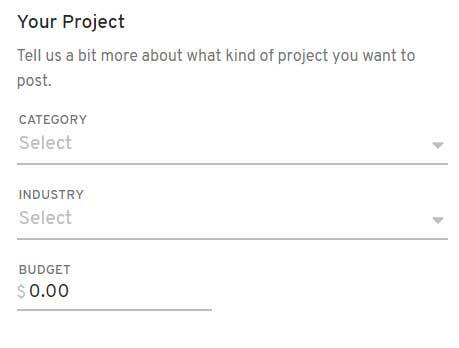 Proto has everything you need to create high-fidelity prototypes in just a few hours and without technical knowledge. You can design directly from your dashboard and your apps can be previewed from your web browser or mobile devices for pitching and user testing. The Proto team offered us 20% off their annual plan. Use code ABDORIANI-20-1Y-COMP. 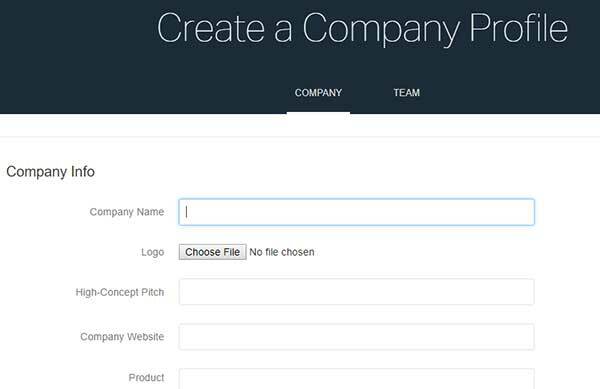 Launchrock has easily customizable templates that you can use to build traction and get users info without or before creating the product. With Marvel, you can design and create prototypes directly from your dashboard or by importing screens from Sketch or Photoshop. It’s a great tool not just for prototyping to pitch and/or acquire early users but also to build clarity and transparency between design and development teams. 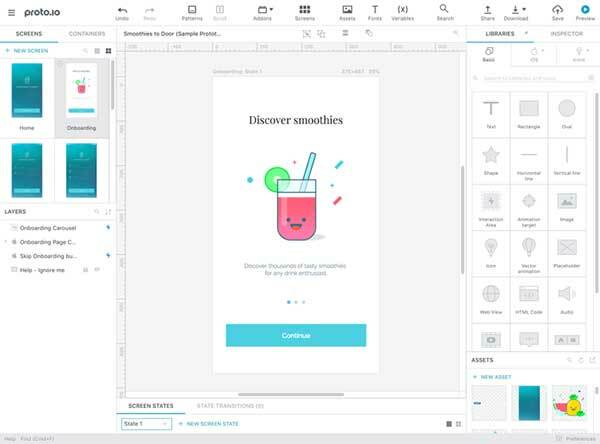 Moqups has everything you need to create and collaborate on wireframes, diagrams, mockups and prototypes. 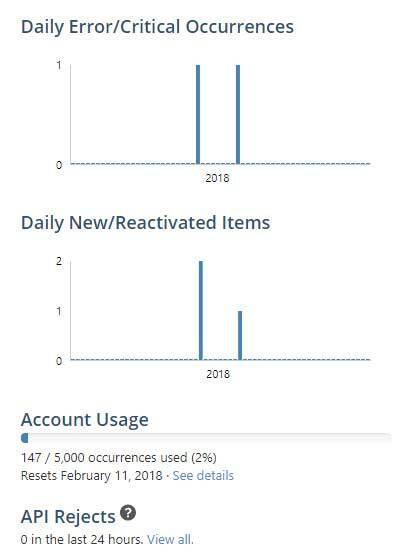 It’s a great tool for keeping everyone in the company updated with progress while enabling them to provide their feedback, input and make changes through one single dashboard. Bubble lets you build functioning applications without writing code. You can drag and drop elements and customize your application through a simple and yet advanced dashboard. With Doorbell, you can gather, organize, share and respond to user feedback from one single dashboard. The Doorbell team offered us 20% off for 6 months. 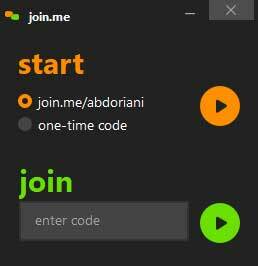 Use code abdoriani when upgrading. Rollbar shows your software issues and errors. Run your application by Rollbar and you’ll know if there are bugs to be fixed. Rollbar also analyzes the impact of different types of errors on user experience to tell you which issues to prioritize. With UXCam, you can record and analyze how your applications are used. From your dashboard, you can learn where users struggle, sign out or stick. UXCam tells you what the user thinks in real time. The UXCam team offered us 35% off any plan. Email [email protected] and mention AbdoRiani. Tens of thousands of templates can be found at TemplateMonster’s marketplace. 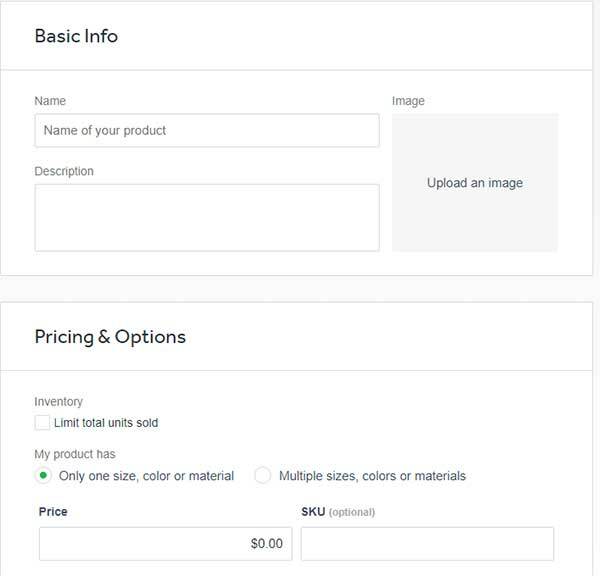 They have over 250 free templates that you can instantly use and customize. Canva lets you create banners in just a few minutes. Its drag and drop functionality makes it very easy to customize logos, business cards, presentations, and more. Invision provides you with all the needed resources to create the best designs. Upload your screens or start directly from your Invision dashboard, add animations, transitions, seek and provide feedback, assign work to your team members and collaborate seamlessly, etc. Zeplin is built to increase the efficiency and efficacy of product development through a collaboration tool for designers and developers. It keeps both parties on the same page and if you have a remote team, this is a great way to remove some friction out of the product development process. The Zeplin team offered us 25% off for 3 months. Use code ABDORIANI25. 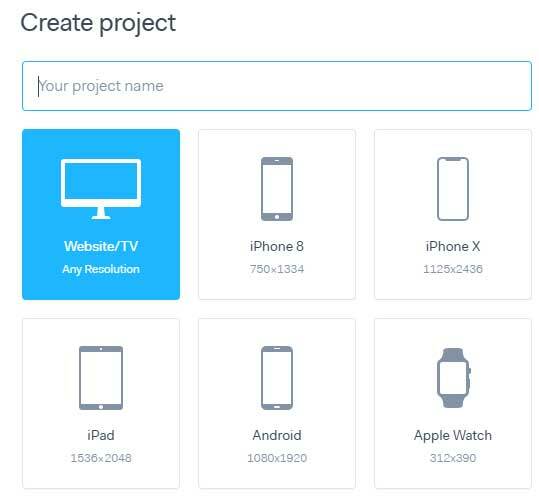 With MockFlow, you can create wireframes, sitemaps, workflows, style guides and more for brainstorming ideas, creating and improving user interfaces and collaborating with team members. 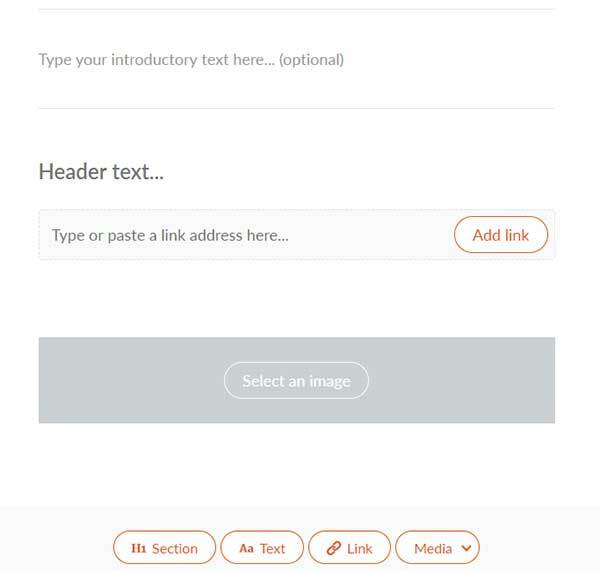 Use pre-made templates or upload your own images to create graphics for your posts, ads or email with just a few clicks. If you publish any type of content online, Snappa has the tools to help you create graphics without knowledge or expertise in graphic design. 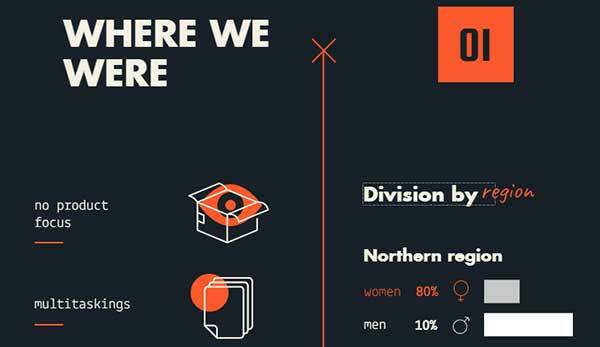 A great tool for turning data and stories into professional and visual presentations through pre-built templates from a library of over 600 infographics and presentations. 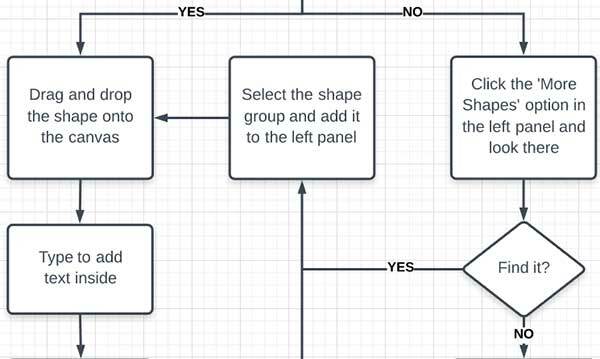 Use Lucidchart’s drag and drop functionality to sketch and share professional flowchart diagrams. 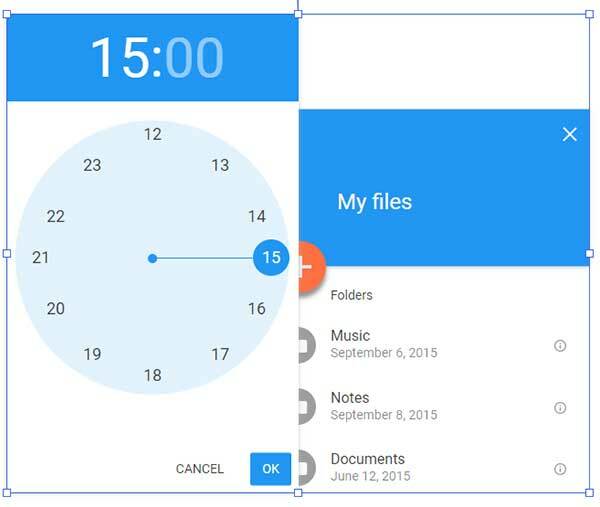 Use it to create wireframes, prototypes, organizational charts and many more diagram types. A great tool for creating infographics, reports, charts, dashboards, maps and visuals for social media and more. Infogram helps you tell a compelling data driven story and grab the attention of your audience through a user friendly dashboard. Visme is an online presentation and infographic tool with customizable templates for creating reports, e-books, graphics and more. 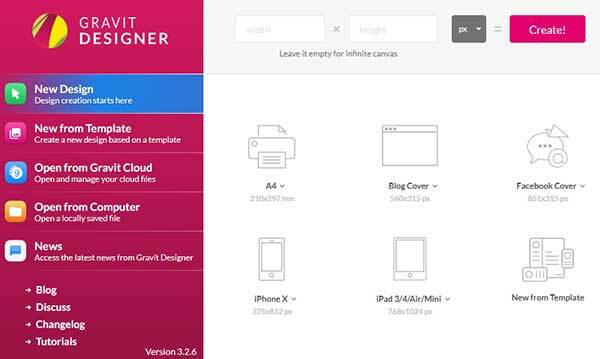 Gravit designer is a free vector design app with high quality icons, presentations, illustrations and more. The software helps you unleash your creativity. Balsamiq is not free, however, its powerful wireframing tool is worth mentioning. Sketch your ideas on a whiteboard, get seamless feedback and design better apps. When you get access to EntrePerks, look for Balsamiq’s $30 off on the desktop license. 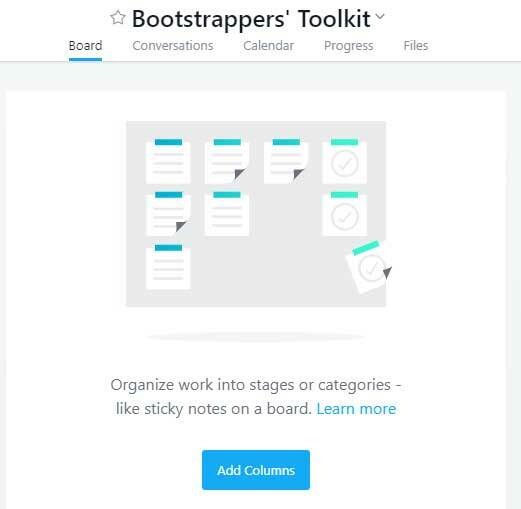 Trello simplifies project and task management with its boards, lists and cards. It builds transparency and improves efficiency within teams. Using Sendtask, you can collaborate with your team, clients, suppliers and partners from one single dashboard. You can share and manage tasks, seek and provide feedback and collaborate with project or company stakeholders. Basecamp is built to create efficiency in the workplace through its powerful project management software. 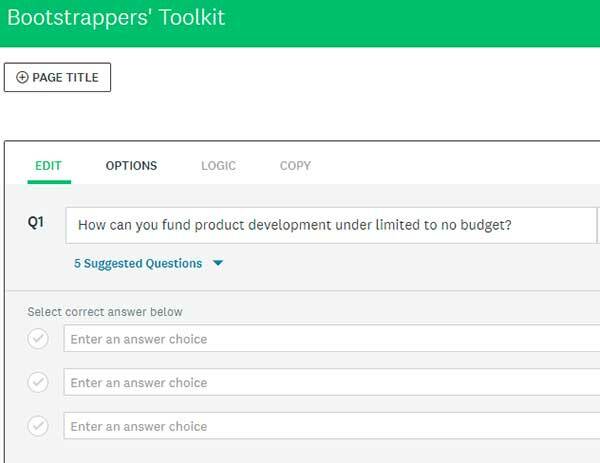 Use Basecamp to start projects, assign tasks, monitor progress, provide feedback, discuss plans and more. 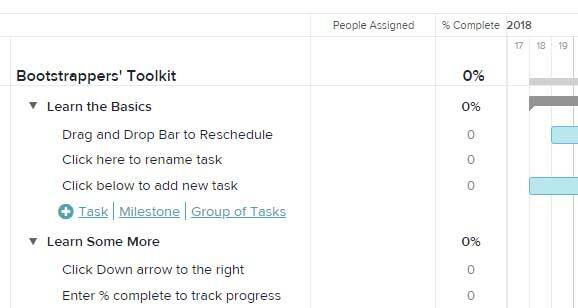 Make sure everyone in the team is up to speed with progress and accountable for their tasks using Asana’s project management dashboard. Track small or big projects from start to finish. 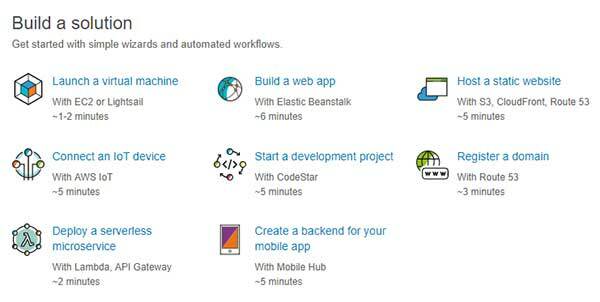 If you are building software, Pivotal Tracker has the project management tools you need to plan, analyze progress, collaborate and stay focused and organized. With the Kanban tool, not only can you manage projects but also it enables real time communication and time tracking on tasks and milestones. Team Grantt is a project scheduling software focused on Grantt charts. 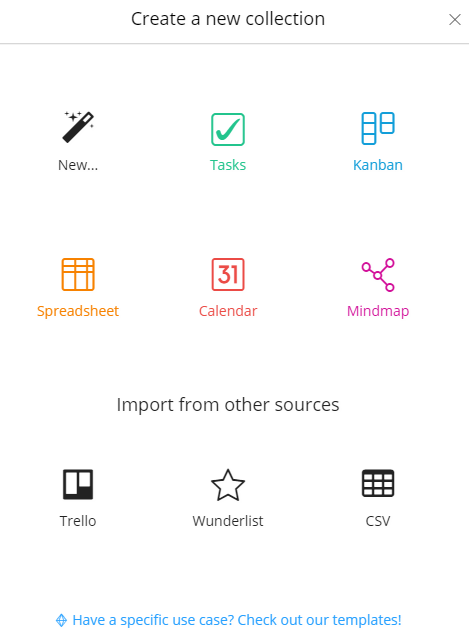 You can drag and drop tasks, manage documentation, conversations and team availability in one place. Zenkit is a flexible project management platform with Kanban boards, spreadsheets, mind mapping and more. I created Upify for entrepreneurs to better document their startup journey. Create a startup stage like customer development, invite your team members, type your progress, assign tasks and centralize your progress from one place. Quickly learn how often a term is searched relative to others across the world. It’s an easy and quick way to check and evaluate trends. 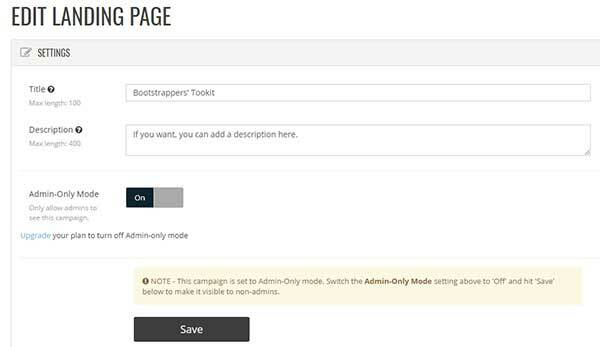 One of the easiest ways to create and distribute surveys through pre-built templates. 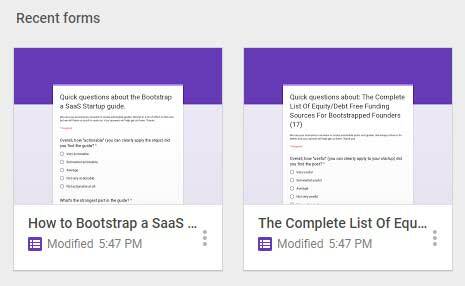 Whether you’re exploring ideas, debating projects, planning the next phases, or conducting qualitative or quantitative research, Google Forms is one of your best options. Find data about companies, entrepreneurs and investors to discover industry trends, learn about the competition, find investment opportunities and news about the tech community. The Crunchbase team offered us 10% off the annual license of Crunchbase Pro. 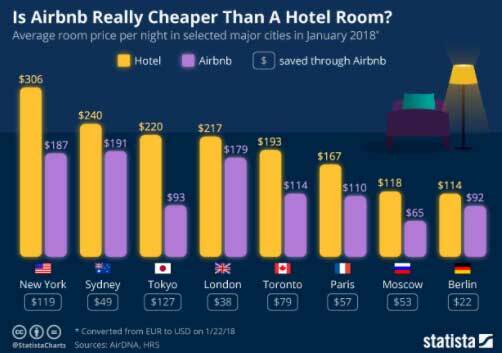 Visit Crunchbase here and use code AbdoRiani. From your Facebook ads manager page you can gain insights about your target audience from geography and demographics to purchase behavior and more. Visit Facebook Audience Insights here. Statista provides industry and market sector insights. It has data on media, business, finance, politics and other areas presented in the form of infographics or reports. If you want to add video to your website, record and upload to Wisita and then use the embed code to place it wherever you like in your site or get a link to share the video with your audience. 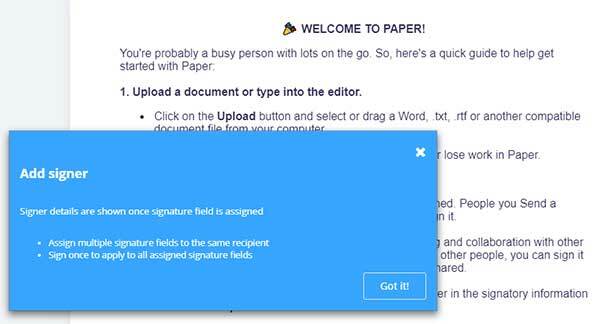 You can also add conditions like users must submit their email to watch or download a file at the end. Revue has beautiful and user-friendly newsletter templates. 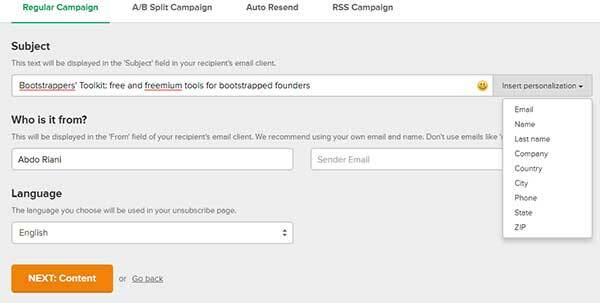 If you want to launch newsletter campaigns or just email your subscribers, Revue is simple to set up and use. With your EntrePerks access, you get the first month off on the Pro plan. Mailchimp is a powerful marketing automation platform that went beyond email marketing services to provide all the needed resources for e-commerce companies to build traction and sell their products over email and landing pages. 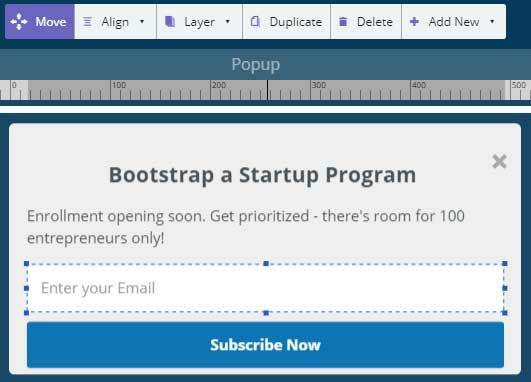 Segment users, launch email campaigns based on user behavior, create landing pages, popups and more from one single dashboard. 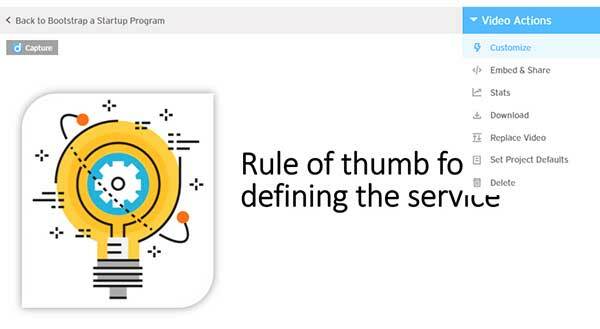 Branch focuses on deep linking to facilitate and track conversions and user engagement in order to personalize user experience from the time they install the application. Buffer lets you schedule posts for social media sharing and track the performance of your shares. Their browser extension and mobile apps make it easy to add content to your sharing schedule on the go. 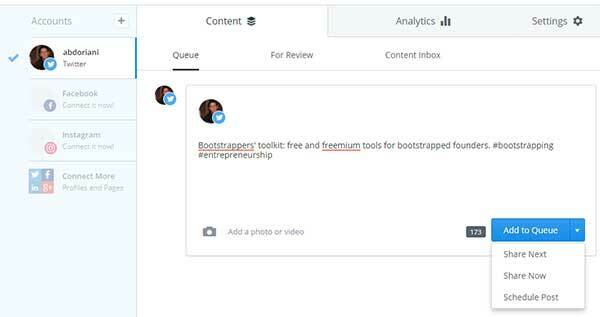 Besides its scheduling feature, Hootsuite enables you to measure the impact of your social media campaigns, search conversations by keywords, hashtags and location, and collaborate with your teammates. 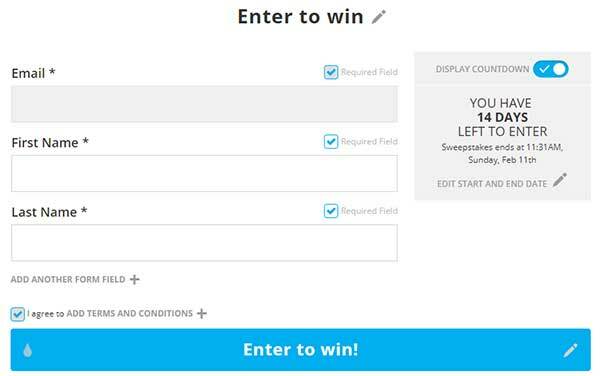 Use Woobox to create contests and giveaways through polls, quizzes, games, landing pages and more. If you have an upcoming product and don’t want to use a crowdfunding platform, you can quickly create a landing page and accept pre-orders through Celery. ClickToTweet helps you make twitter sharing easier for your audience. Simply add the message that you would like your audience to tweet and then embed the code on your website to create one like the prepared tweet below. The ClickToTweet team offered us 2 months off the Pro (monthly) plan. Use code: PROFREE60. 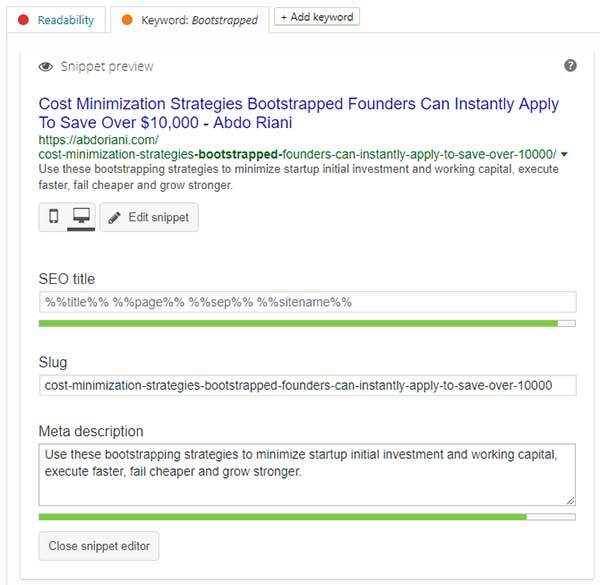 Use keywords, topics or author names to analyze the best performing content on the web. Use Buzzsumo to generate ideas, analyze the competition and find influencers. 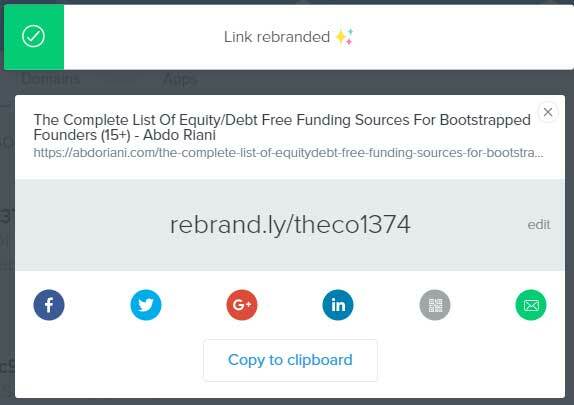 Use Rebrandly to increase trust by creating branded links instead of showing a third party domain. Turn PDF files into presentations directly from DraftSend. 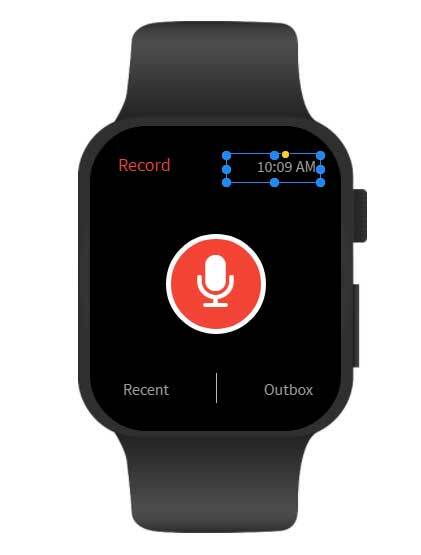 You can record your voice and share with your team, clients or on your website in just a few clicks. 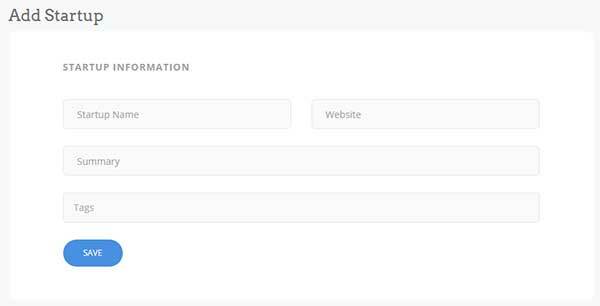 With Hello Bar, you can grow your following and email subscribers by displaying email opt in forms and follow buttons. 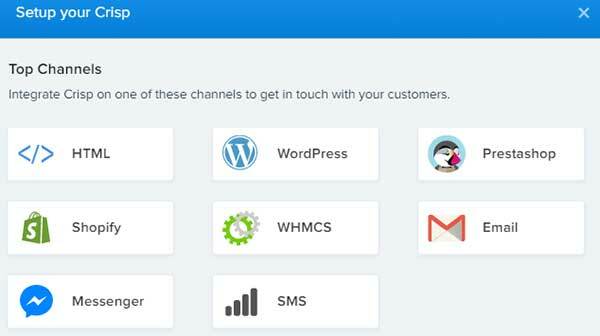 Sumo has a suite of marketing tools to help you capture more emails and close more deals. 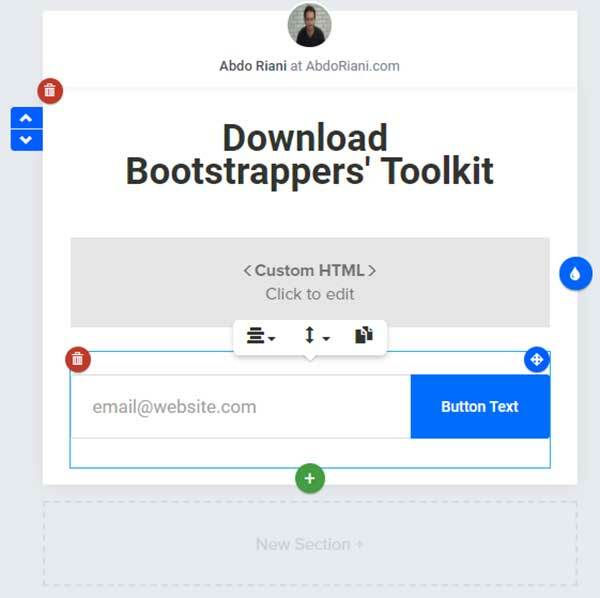 Tools include popups with different shapes and call to actions. Beacon helps you convert your blog posts into lead magnets. You can instantly turn your posts into e-books while using their free stock images and brand styles. 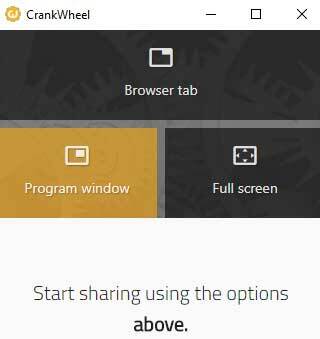 It takes a few seconds to share your screen with a prospect, teammate or a client using the CrankWheel tool. After downloading the Chrome extension, screen sharing starts with a click of a button. Find hundreds of thousands of free high-quality images about business, nature, travel, food and more. Freepik focuses on vector design but also offers all sorts of images including stock photography. Most of its images are free to download and use. With SEMrush free tools, you can analyze your website or your competitor sites to find their best keywords, ad strategies, domain authority and more. 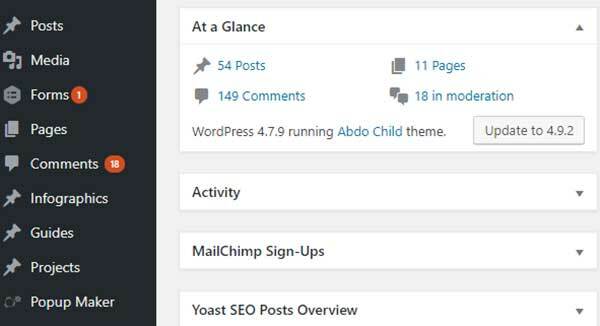 After installing the Yoast plugin, you can optimize your pages for your keywords, check and improve readability, avoid duplicate content and more. More SEO tools can be found in Brian Dean’s comprehensive guide. Unbounce has a suite of marketing tools from landing pages to lead magnets and advanced analytics to help you sell more. Although they don’t have a free plan, they have a free startup package worth $1,188 for qualified entrepreneurs. Visit Unbounce and apply here. Track your site performance and potential by looking at the bounce rate, session durations, traffic channels, visitor geography, page visits and more. With SimilarWeb, you can identify emerging trends, understand customer intent, discover new opportunities, study the competition and track more analytics metrics. Compass specializes in providing analytics for e-commerce businesses. You can track metrics like revenue, traffic, customer acquisition cost, customer lifetime value, acquisition channels and more. 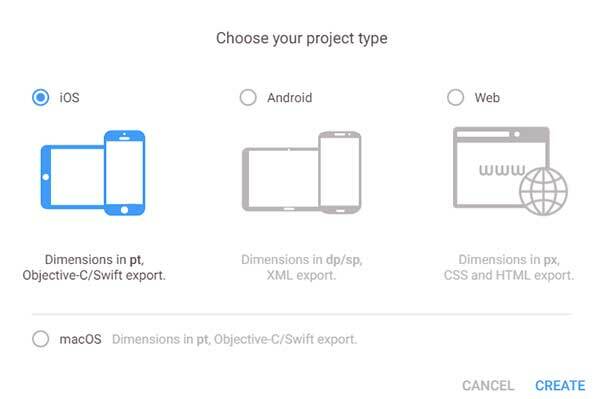 You can use Typeform for different purposes. Besides its analytics tools, you can acquire users through registration forms, distribute surveys, accept payment, create quizzes and polls, etc. SurveyMonkey offers more than survey tools. With its software, you can conduct market research, discover insights, analyze your Net Promoter Score, engage users/visitors and collect reviews, etc. Mixpanel is a powerful analytics software that lets you study users’ journey every step of the funnel across mobile and web devices. Segment captures user data and sends it to the relevant tools for analytics, marketing and data warehousing where it can be used most effectively. Track and analyze how visitors use your website and applications using Open Web Analytics’ open source software. It also shows you where people are clicking on your website using the heat map tool. Visit Open Web Analytics here. 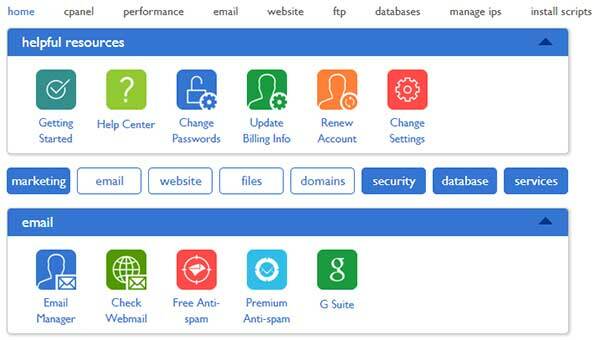 Cloudflare improves your site performance and security while providing you with site analytics. 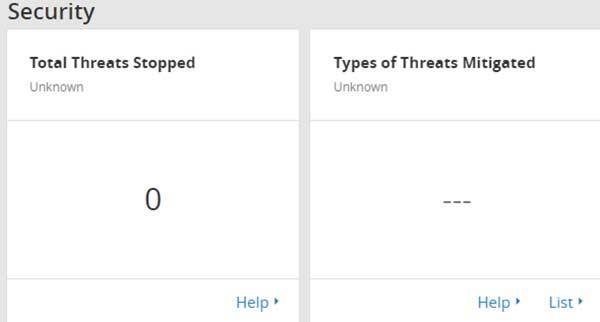 Speed up your site, monitor threats and maintain availability are some of the things Cloudflare offers. AWS is a cloud computing platform. Its services include storage, networking, analytics, deployment, database, management and more. Visit Amazon Web Services here. 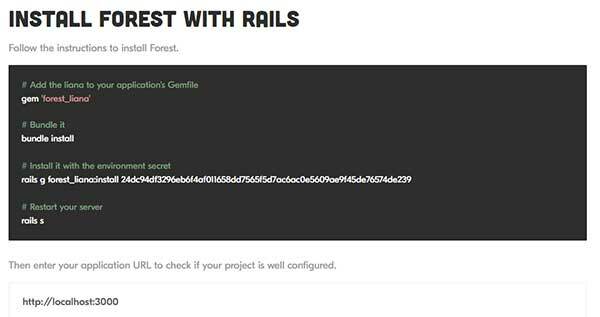 Heroku is a platform as a service used to deploy, manage and scale applications. Through their platform, you can set up configuration variables, scale your application horizontally or vertically and manage data stores and add-ons. Bluehost lets you set up your website quickly and easily. It is not free but worth mentioning. You can host your website for as little as $4/month. Drift lets you chat with your visitors in real time. Use it to qualify visitors, understand their needs, book meetings and convert more leads. 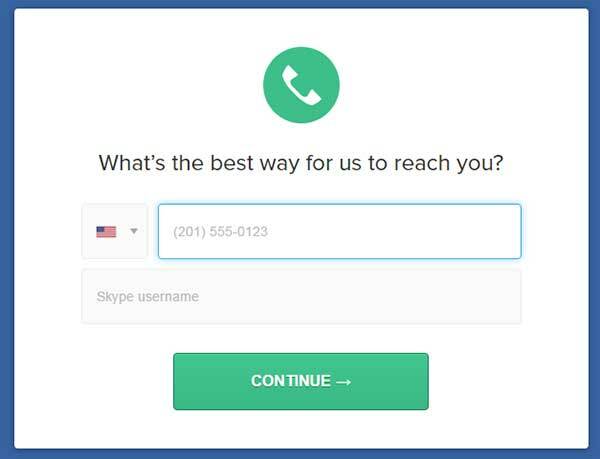 ConverFlow offers a suite of targeted call to actions based on visitor behavior in the site. Their tools help you guide your visitors to take action based on their interests. 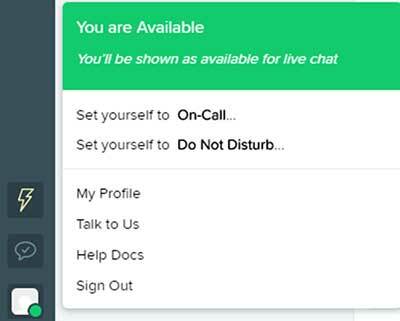 With ClickDesk, not only can you chat with your visitors in real time but also make voice and video calls. Other features include social media integration, reporting and analytics. Crisp allows you to assist your visitors and users by watching their screens and directly controlling their account to help them resolve any issues in real time. Schedule meetings by choosing your availability preferences then share a link with leads, clients, partners and teammates. 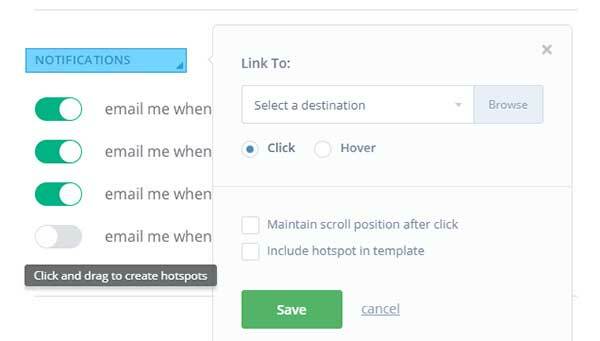 With 10To8, you can set automated SMS and emails so that clients confirm and remember their appointments. You can also accept payment, coordinate multiple team members, track metrics and more. Lean everything you need to know about your meetings by asking people to fill out forms when scheduling, let clients easily book, cancel and reschedule meetings, manage multiple locations and employees from your dashboard and more. The Acuity Scheduling team offered us an extended 45-day premium plan trial. Visit Acuity Scheduling here. Accept online bookings, get and send SMS and email reminders, accept payment, create and customize a booking landing page and more. MeetingBird allows you to view your calendar and schedule meetings right from Gmail. Customize availability and reminder emails straight from your inbox. Create tasks, sub tasks, projects and milestones. Share, collaborate and delegate tasks, set deadlines, visualize productivity and achievements, set reminders, comment and more. Get 2 GB of space to share and store files and collaborate. Access your files anytime and anywhere with your computer or mobile device. Manage and organize your pictures, videos and documents in the cloud. You can customize your dashboard, quickly search, filter and find files, and more. 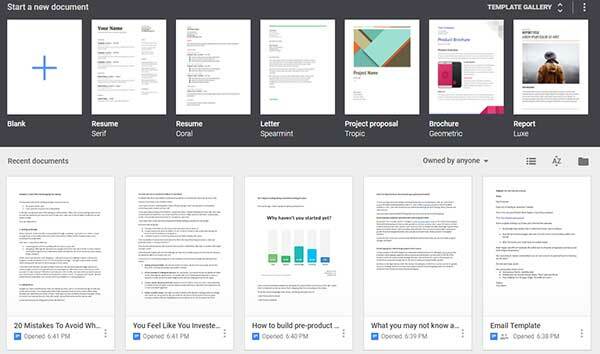 Store and share your files straight from your Gmail inbox or Drive dashboard. Invite others to edit, download and share your files. Slack offers a set of collaboration tools to help you increase efficiency, boost performance and get things done faster. With its integrations, searchable archive and channels, users have everything they need to accomplish individual, company and community goals. 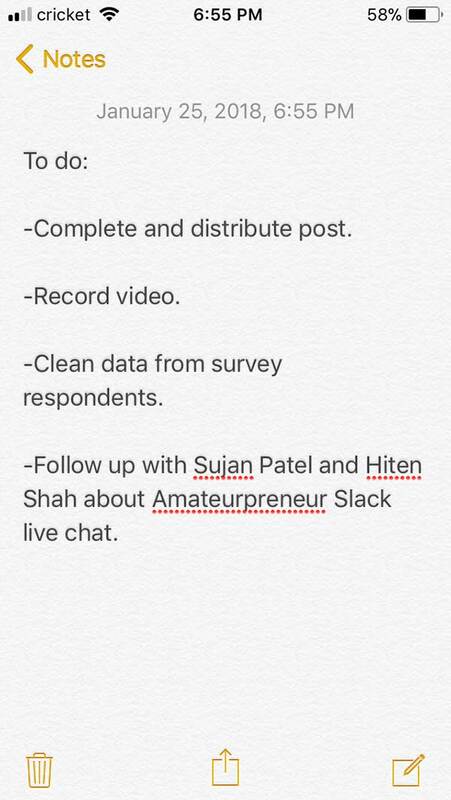 Join us on Slack here. Skype’s text, voice and video make it easy to collaborate with people all over the world. Create groups, share files and images, hold meetings and more straight from your desktop or mobile device. RescueTime tracks your web activity to help you understand your daily habits. You can set alerts to let you know when you spend a certain amount of time on an activity, you can block distracting websites, you can evaluate your progress over time and more. With your EntrePerks access, you get 30% off RescueTime’s premium plan. Stride improves team communication through built-in tools, group chat and direct messaging, voice and video conferencing, screen sharing and more. With Boomerang, you can write and schedule emails to be automatically sent later. It also allows you to set up a reminder to read and respond to an important email or follow up within a specific time frame. With Join.me, you can host free meetings just by sharing a link. 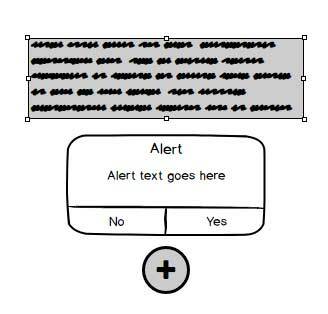 With their whiteboarding feature, your audience can see what you are typing or sketching in real time. VoilaNorbert helps you find email addresses by simply typing the person’s name and company website. You can also search addresses in bulk using a CSV file. Grammarly can detect and correct grammar, punctuation, and spelling mistakes. You can either copy and paste your text into Grammarly’s editor or install their browser extension so that every time you write an email, or social media post, it tells you if you made a mistake. Submit your startup or coming soon page to BetaList to acquire early adopters, get feedback and start building traction. On the other hand, discover new startups and help founders improve their products. ProductHunt highlights the best new products every day. Submit your startup, acquire users, get feedback, build traction, and grab investor and media attention. Discover and share trending news about the tech community and entrepreneurship. Submit your articles or story to contribute to the community, build traction and awareness. A community of likeminded people for sharing and discussing topics, ideas and projects. Submit your story or startup and seek feedback from the group after you’ve helped others get the same support. Visit the Startup Subreddit here. You can also check the Entrepreneur Subreddit here. 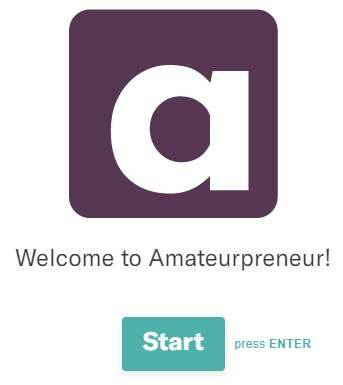 Get discovered by building your startup profile and your own as an entrepreneur. 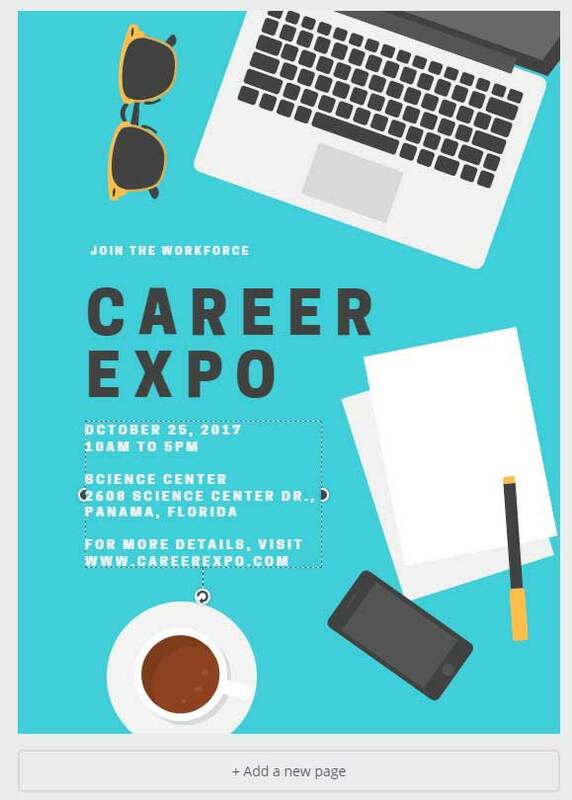 Connect with entrepreneurs, investors and team members. Reward your early adopters with exclusive deals for joining your email list or trying your beta version. Gain subscribers and traction by introducing your product to theSignUpFirst audience. Submit your startup to BetaPage directory for more exposure. Connect with likeminded entrepreneurs and investors. Comment, share, collaborate and more. LaunchingNext features the most promising startups on a daily basis. Submit your startup to get featured and gain exposure. 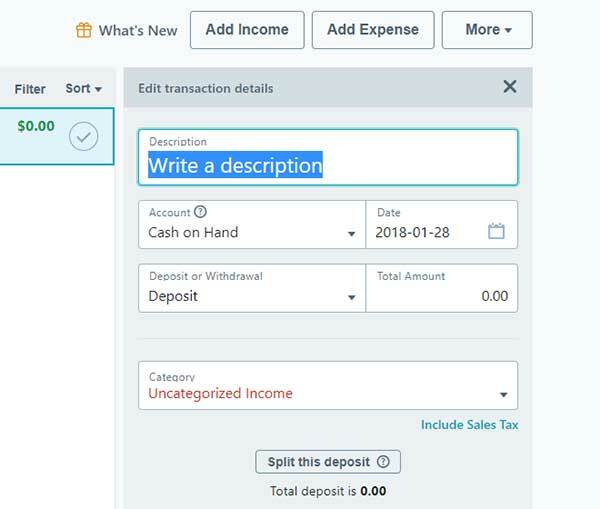 With Poindexter, you can forecast different scenarios, compare how opportunities can affect your cash flow, break your forecast assumptions into daily to-do lists to stay on track and meet your projections and more features to help you make better financial decisions. 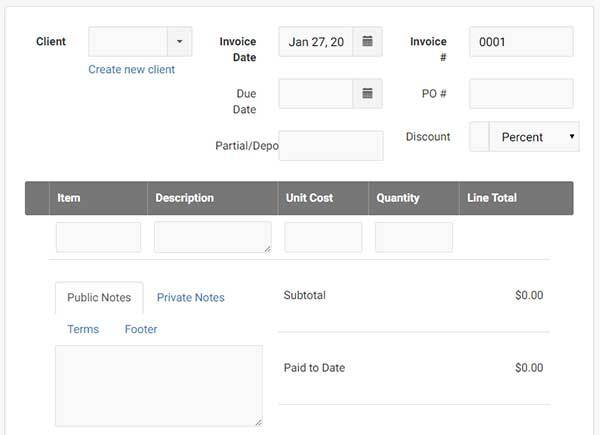 Create invoices and contracts, get paid, manage your projects, track time and expenses, and create reports for free. 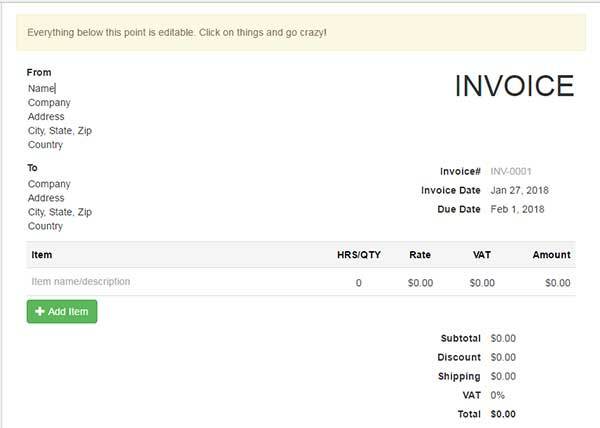 Quickly create invoices without registration. Visit Free Invoice Generator here. Create budgets, track and pay bills, schedule payments, get custom tips for reducing fees and saving money, check your credit score and more. 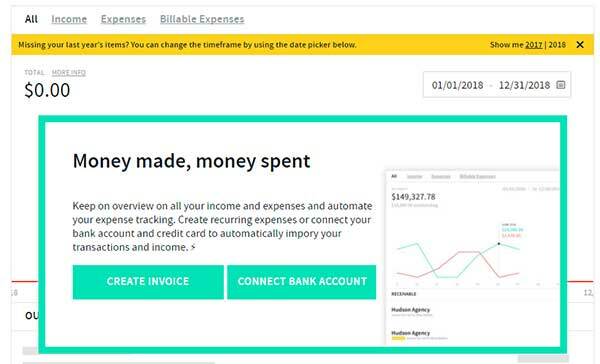 Create and send invoices, get paid faster, track income and expenses, scan your receipts, pay your team, create custom reports and more. Create tasks, projects and track time, create and customize invoices, set up recurring payment and invoicing, build your product library and more. The InvoiceNinja team offered us free Pro plan for one year. Visit InvoiceNinja here. 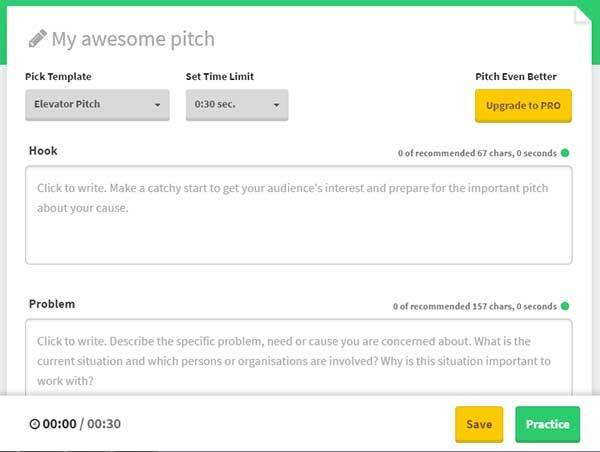 Create and delivery your pitch by picking a template, writing your script and practicing your presentation under your set time. Manage the fundraising process from searching for investors to closing rounds straight from your dashboard. 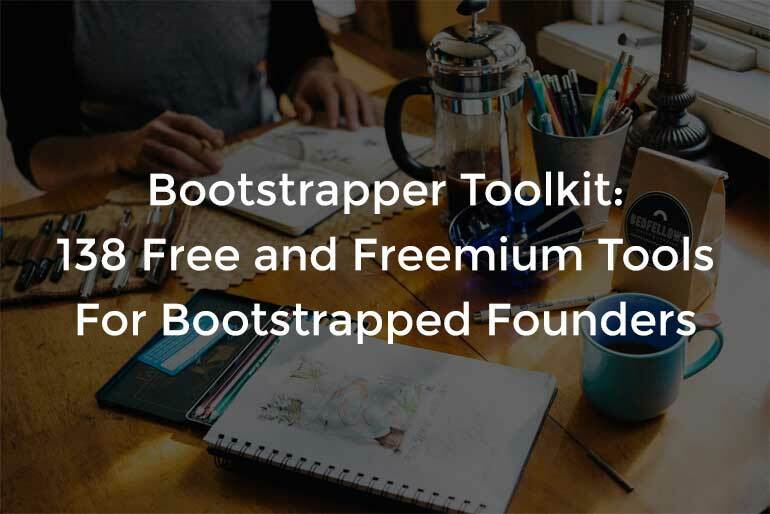 Find pitch decks, cap tables, term sheets, NDAs and more resources. Through AngelList you can also get funded by searching investors in your market, introducing yourself and pitching them your product. Find a database of nearly 10,000 investors. Dealroom’s market intelligence helps you find the best potential investors for your startup. 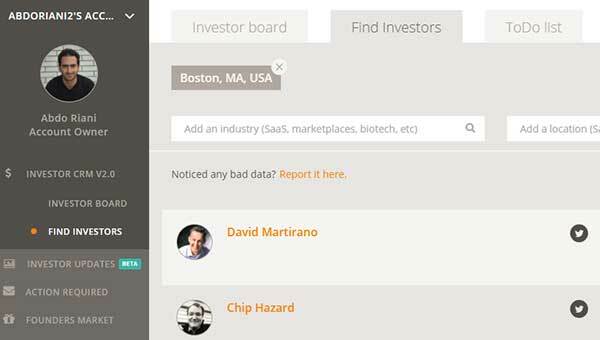 Investors use SeedInvest to find vetted startups. By getting your startup listed, you get exposure to thousands of investors who are ready to back future success stories. 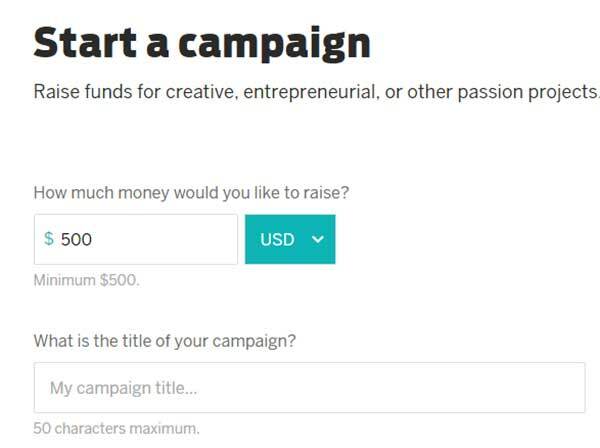 Fundable is a crowdfunding site where you can showcase your company and get funded. 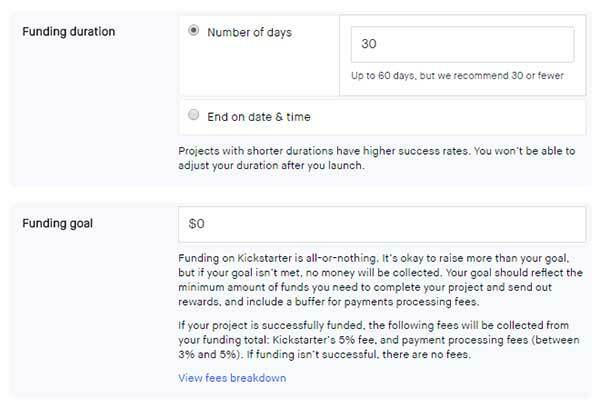 You have the option to reward your backers with your products (pre-order) or by sharing equity. Indiegogo contributed to the launch of thousands of innovative products and services through their crowdfunding platform. Use their audience to pre-sell your product, fund your operations, gain media attention and scale faster. The mission of Kickstarter is to help bring creative projects to life. Listing your product on Kickstarter instantly puts you in touch with millions of potential backers. 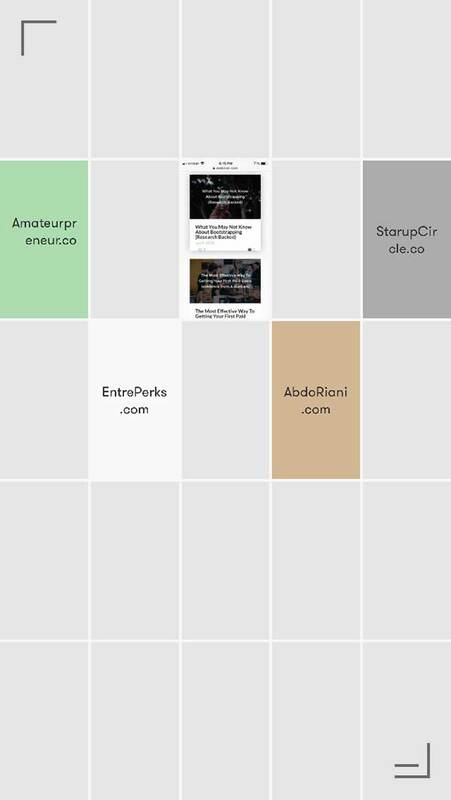 Manage your startup’s capitalization structure from a single dashboard. 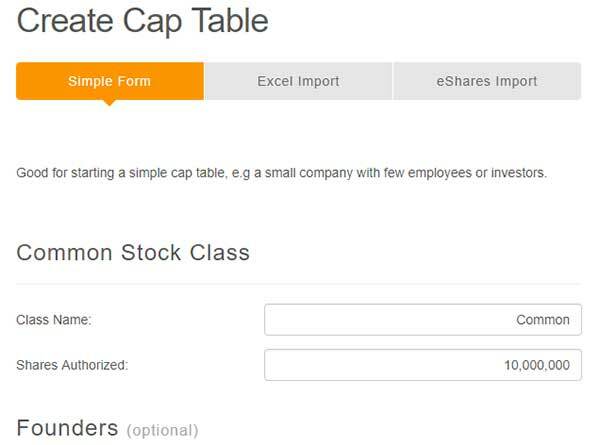 Create your cap table, understand how a future investment, convertible instruments and stock options might impact your startup, invite and collaborate with others, and more. Customize your pipeline stages per position, rate candidates, create bulk and individual emails, understand which recruiting channel provide the best candidates, and more. The Breezy HR team offered us 15% off the first 3 months. Use code startupcircle15. Post a job, browse candidates, interview freelancers and pay hourly or fixed. 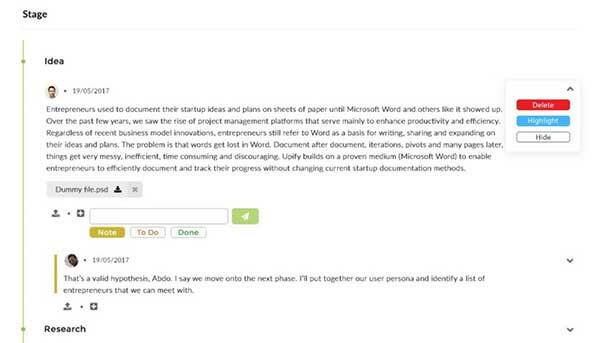 Upwork puts you in touch with hundreds of potential hires from all over the world. 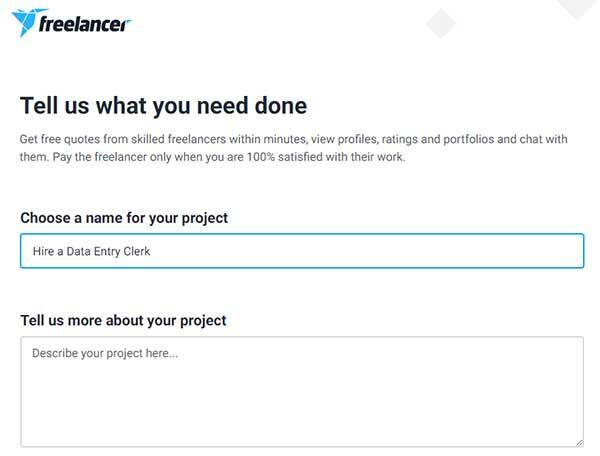 Find programmers, designers, marketers, engineers, project managers, writers, researchers and more skills at Freelancers’ marketplace. With PeoplePerHour, not only can you post jobs, evaluate candidates and hire the best fit but also post contests and let freelancers pitch their work so you can pick the best. Toptal is a highly selective freelancing network with top designers, developers and finance experts. A Toptal representative will ensure that the assigned freelancer is the best match to help you achieve your goals. 99Designs finds you the best designers for your project. Post your requirement, request quotes and interview vetted designers. 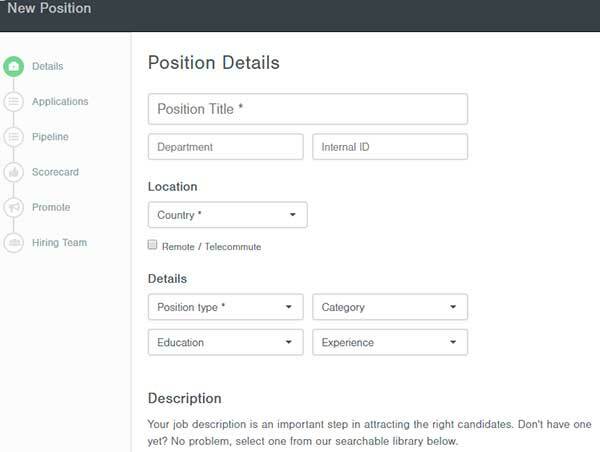 Guru connects employers with national and international contractors. Most freelancers in the marketplace are programmers, therefore, expect a big pool of talent if you are seeking the help of a developer. Crowdspring specializes in high quality custom logos, print, web design, and naming. 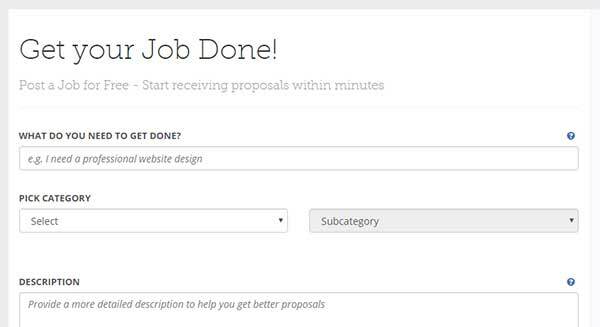 Select one of their three packages, create a project brief, and finally pick the best design and make the adjustment needed. With your EntrePerks access, you get $25 off plus free $99 marketing upgrade. Generate privacy policies, terms and conditions, return and refund policies, cookies policy, disclaimer and more through TermsFeed’s customizable templates. Find all sorts of agreements from terms and conditions to contracts of work for web design and development, leasing, sales commissions and more. 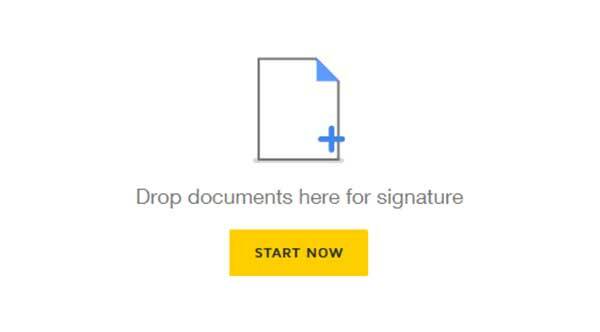 DocuSign enables you to electronically sign documents, agreements and contracts in industries like real estate, technology, financial and healthcare. Whether you are running a side hustle or a large business, you can create and sign agreements and contracts electronically from your ContractClub dashboard. 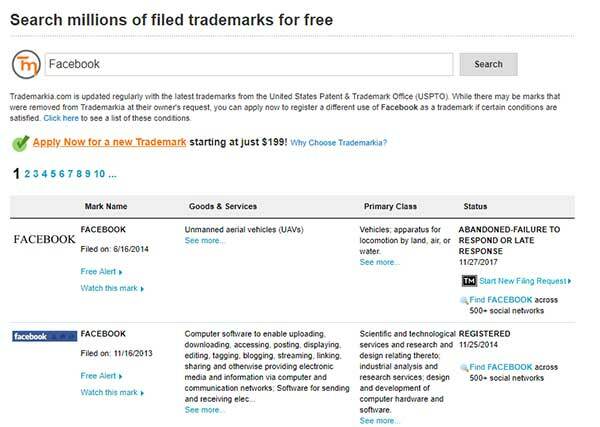 Search millions of patents, trademarks, domains, logos, incorporations from TradeMarkia’s free database. You can also register trademarks directly from there. Lawbite provides you with an extensive library of legal contracts and agreements plus legal advice from certified experts when needed. Clerky focuses on startups by helping them get legal paperwork done safely. Whether you are incorporating your venture, raising funds or hiring people, Clerky has the resources needed to get the job done. Their services are not free, however, with your EntrePerks access, you get free paperwork for the first $250,000 raised. The Hard Thing About Hard Things: Building a Business When There Are No Easy Answers, by Ben Horowitz. The Art of the Start 2.0: The Time-Tested, Battle-Hardened Guide for Anyone Starting Anything, by Guy Kawasaki. The Lean Startup: How Today’s Entrepreneurs Use Continuous Innovation to Create Radically Successful Businesses, by Eric Ries. 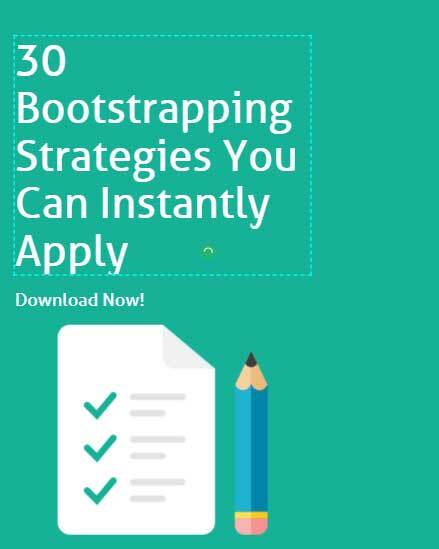 If you haven’t yet, download the PDF version of the guide. This will also give you lifetime access to EntrePerks’ $23,000+ combined savings. 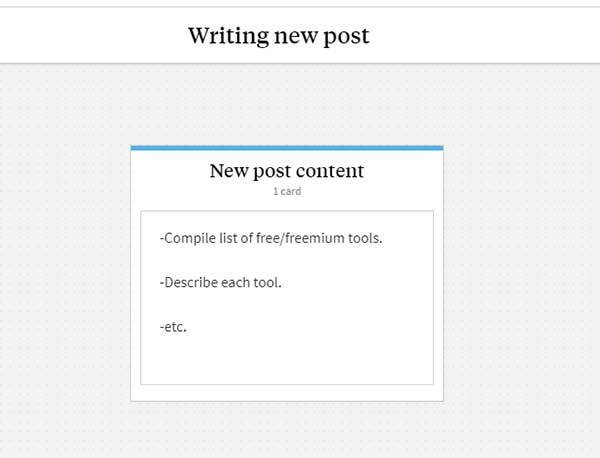 After you do, write a comment below about the list of free and freemium tools. Any other tools you think I should add? What do you think of the list overall? Thanks for putting this together. Really valuable. Thanks Keri. The research reminded me of some great tools I haven’t used for a while. I’ve sent you a few more tools that I use. Thanks for the list. Great suggestions. I added a couple. Thanks. Awesome. Which tools are your favorite? Glad you found the post. Thanks. I reached out to these two companies. I will let you know if they send us an offer. Thanks Abdo. Great job! I found it really valuable. Hey Syed, good to hear from you. I’m glad it helped. Could you add https://rocketbots.io/ to this list?